Yes, the course is endorsed by an independent oversight body. ADL- Academy for Distance Learning, has been recognised as a centre by TQUK (Training Qualifications UK) - an Ofqual approved Awarding Organisation. ADL's Approved Centre Number is: 1709318. Our courses and qualifications are endorsed and issued by TQUK when a learner selects study option A when enrolling. Recognition by TQUK means that ADL has demonstrated that it has the commitment and capacity to develop quality courses of learning for delivery to learners. In order to maintain our Recognised Centre status, we are subject to yearly evaluation visits to ensure that we conform to, and are meeting the high standards demanded by a company listed on the Ofqual Register of Organisations. The Office of Qualifications and Examinations Regulation (Ofqual) is a non-ministerial government department that regulates qualifications, exams and tests in England and until May 2016, vocational qualifications in Northern Ireland. TQUK's recognition number on the Register is: RN5355. 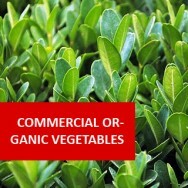 Advanced Certificate in Agronomy AGR003: When we go to the supermarket to buy our weekly shop, the bread, fruit, vegetables, tea and coffee that we put into our shopping trolley, are all the end result of agronomic techniques employed by the grower. And it doesn't stop there; agronomists also play a crucial part in the production of clothing fibres, turf grass for sport and even ethanol-based gas used in some motor vehicles. 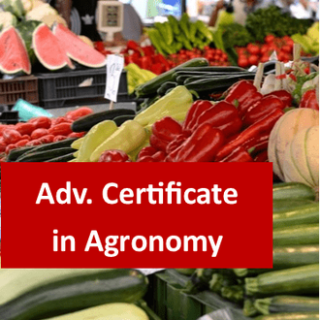 This online Advanced Certificate program studied via distance learning, will help you to become an expert agronomist and empower you with skills that are a valuable commodity in the agricultural and farming industry. Agronomy I will get you started with a solid grounding in agronomic techniques. Agronomy II will teach you how to successfully grow grains, pulses and pseudo-grains such as rice. 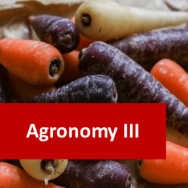 Agronomy III will deal with root crops, such as potatoes, carrots, beets and turnips. 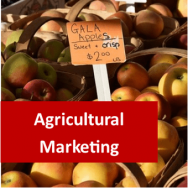 Agricultural Marketing will give you the knowledge and skills needed to market your harvest and get the best price for it. 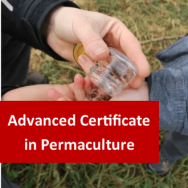 This course will be ideal for anyone wanting to forge a career in agronomy, or already doing so. It will also be suitable for governments, charities and others working in developing countries, who want to teach the techniques they will learn from completing it, to small farmers. Classify important existing and emerging grains or cereals grown around the world and explain the production systems both large and small scale, used for growing, harvesting and storing grains in different countries. Describe and compare the properties and production systems of the major ‘cool season’ cereals, namely: wheat, triticale, spelt, barley, oats and rye. Describe the four main broad habitats where rice is grown and explain the variety of production systems used within these different habitats. 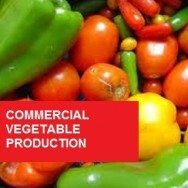 Explain and compare the production systems and uses of important cool and warm season pulse crops grown around the world. Describe production of ‘non-grasses’ that are existing or emerging as important‘cereals’, such as chia, quinoa, amaranth and buckwheat. Explain post harvest storage and processing methods used for cereals for human consumption and examine the various sales procedures used. Outline the cultural requirements and growing techniques for potatoes. Culture - What influences Crop Growth? 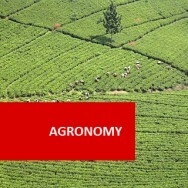 Click on the links below to learn about how agronomy affects the world. They are for information purposes only and ADL neither agrees or disagrees with any of their content. Comparative Credits Information UK Course Credits: 40 - U.S. Credit Hours: 12 - when compared to regulated courses. Course Duration and Deadlines 400 hours approx. Course hours given are a guide only. Work at your own pace with no assignment deadlines or completion date. You are in control!